HOUSTON--(BUSINESS WIRE)--Phillips 66 Partners (NYSE: PSXP), Harvest Midstream Company, and PBF Logistics LP (NYSE: PBFX) have entered into an agreement to jointly develop the ACE Pipeline System. The ACE Pipeline System will provide crude oil transportation service from the market hub in St. James, Louisiana, to downstream refining destinations in Belle Chasse, Meraux, and Chalmette, Louisiana. The pipeline system is expected to have an initial throughput capacity of 400,000 barrels per day, with the ability to expand further depending on shipper interest. The parties may elect to add a delivery destination in Clovelly, Louisiana, subject to market demand. Subject to customary and regulatory approvals, the pipeline system is expected to be placed in service in the second half of 2020. The ACE Pipeline System will include a new-build segment to connect the St. James market center to the CAM Pipeline. Harvest Midstream will contribute its existing CAM Pipeline to the ACE Pipeline System. An open season will commence at 12 p.m. CST on January 14, 2019, for transportation service on the ACE Pipeline System. Prior to participating in the open season, interested parties must execute a confidentiality agreement to govern the receipt of the open season documentation. For a form of confidentiality agreement and additional information, please email acepipeline@p66.com. Harvest Midstream Company is a privately held midstream services provider based in Houston, TX. Harvest operates crude oil and natural gas gathering, storage, transportation, treatment and terminalling assets across the Lower 48 and Alaska. For more information, visit www.harvestmidstream.com. 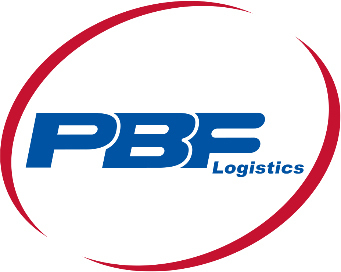 PBF Logistics LP, headquartered in Parsippany, New Jersey, is a fee-based, growth-oriented master limited partnership formed by PBF Energy Inc. to own or lease, operate, develop and acquire crude oil and refined petroleum products terminals, pipelines, storage facilities and similar logistics assets. For more information, visit http://www.pbflogistics.com. This news release contains forward-looking statements as defined under the federal securities laws, including projections, plans and objectives. Although Phillips 66 Partners believes that expectations reflected in such forward-looking statements are reasonable, no assurance can be given that such expectations will prove to be correct. In addition, these statements are subject to certain risks, uncertainties and other assumptions that are difficult to predict and may be beyond Phillips 66 Partners’ control. If one or more of these risks or uncertainties materialize, or if underlying assumptions prove incorrect, actual results may vary materially from what Phillips 66 Partners anticipated, estimated, projected or expected. The key risk factors that may have a direct bearing on the forward-looking statements are the accuracy of our assumptions used to estimate the timing of permit receipts and the construction schedule, the ultimate number of co-venturers and associated ownership interests, and our ability to successfully construct and integrate the assets into our operations, and other factors as described in the filings that Phillips 66 Partners makes with the Securities and Exchange Commission. In light of these risks, uncertainties and assumptions, the events described in the forward-looking statements might not occur or might occur to a different extent or at a different time than as described. All forward-looking statements in this release are made as of the date hereof and Phillips 66 Partners undertakes no obligation to publicly update or revise any forward-looking statements, whether as a result of new information, future events or otherwise. This news release contains forward-looking statements (as that term is defined under the federal securities laws) made by the Partnership and its management. Such statements are based on current expectations, forecasts and projections, including, but not limited to, anticipated financial and operating results, plans, objectives, expectations and intentions that are not historical in nature. Forward-looking statements should not be read as a guarantee of future performance or results and may not necessarily be accurate indications of the times at, or by which, such performance or results will be achieved. Forward-looking statements are based on information available at the time, and are subject to various risks and uncertainties, including risks relating to the securities markets generally, the impact of adverse market conditions impacting PBFX’s logistics and other assets, the possibility that the Partnership may not consummate proposed acquisitions or projects, the Partnership’s plans for financing proposed organic projects, and other risks inherent in PBFX’s business. For more information concerning factors that could cause actual results to differ from those expressed or forecasted, see PBFX’s filings with the Securities and Exchange Commission including its most recent Annual Report on Form 10-K and its Quarterly Report on Form 10-Q for the quarter-ended September 30, 2018. Forward-looking statements reflect information, facts and circumstances only as of the date they are made. The Partnership assumes no responsibility or obligation to update forward-looking statements except as may be required by law.